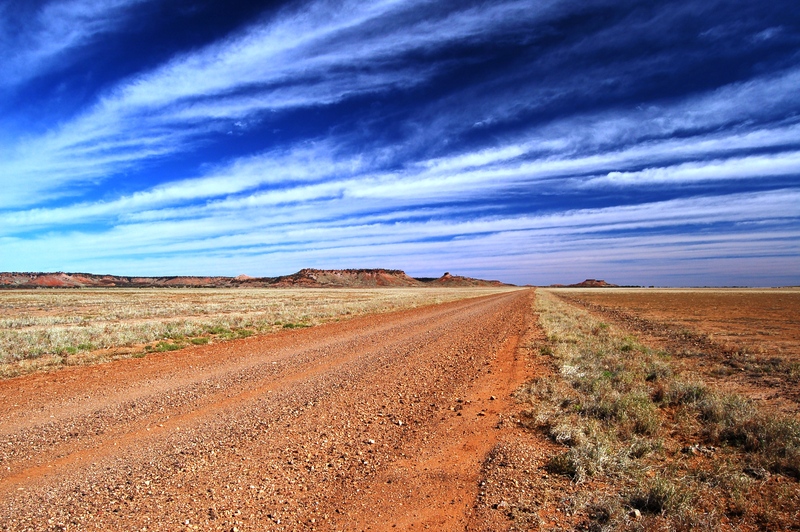 We are on an expedition across Australia’s Great Victoria Desert and through Australia’s Red Centre, travelling some of the most spectacular country that our Sunburnt Country has to offer. “Click” The Landy to see where we are and here to read about the expedition. ExplorOz is Australia’s favourite website for travellers with a sense of adventure. Whether you are a caravanner, camper, into four wheel driving, a motorbike tourer, or fisherman, it has everything you need with loads of trip planning information in articles, trek notes, places, camps and caravan park finder, and updated information on road conditions. A fall-into-sky with feet down to earth shot. Beautiful country Baz.